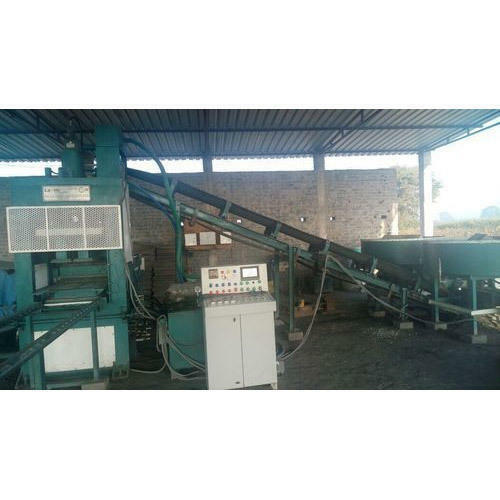 Established in the year 2002, we “Laxmi Engineering Works” are a notable and prominent Sole Proprietorship firm that is engaged in manufacturing a wide range of Brick Making Machine, Block Making Machine, Mixer Machine, Paver Mould etc. Offered range of products is specifically engineered as per the predefined industry guidelines. These machines help to speed-up the construction process and also reduce the effort of labors and other staffs. Furthermore, we are highly appreciated for offering unmatched quality construction machines. Meticulously manufactured by a crew of talented and competent personnel, our machines have no alternative in the market. Our offered machines have gained huge acclamation in the market for their surpass performance, long service life, excellent control mechanism, easy installation, energy efficiency and robust construction. We provide these quality assured machines with high utility features that keep us apart from the crowd. Located in Ahmedabad (Gujarat, India), we are supported by a well functional infrastructural unit that assists us in the manufacturing of a wide range of products as per the set industry norms. Under the headship of our mentor "Mr. Mehul Patel", we have gained a remarkable and strong position in the market. We aslo provide AMC Services to our valuable clients. For years, we have been catering to the demand of numerous construction industries, satisfactorily. We have kept nominal prices for these construction machines that are the another aspect to beat the competition and also to draw the attention of our target clients. Quality, perfection and hassle-free delivery are some of the most important terms associated with us that differentiate us from others. For the comfort of our clients, we accept payment from different modes like online, DD, cash and cheque. Our values and ethical business policies aid us to get a competitive edge over our competitors.